Family members of terrorist allegedly knew terrorist planned on committing massacre yet failed to report it. 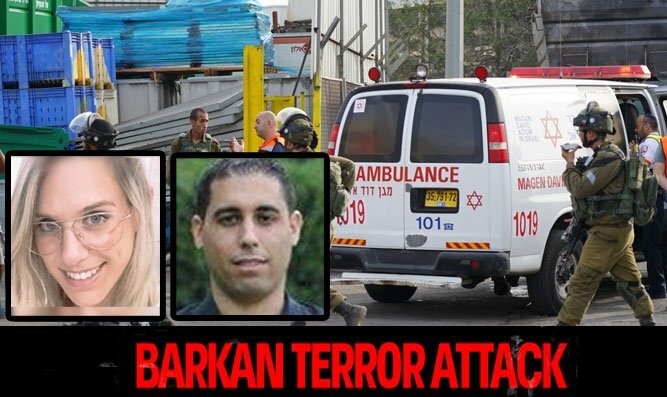 An IDF military court on Wednesday charged the brother and mother of Ashraf Walid Suleiman Na’alowa, who shot and killed Kim Levengrond-Yehezkel and Ziv Hajbi in the Barkan industrial zone earlier this month. According to the indictment, the duo knew about Na'alowa's plans to commit a massacre yet did not inform the authorities. Among other things, his mother knew that the terrorist had weapons and that he was training to carry out the attack and Na'alowa told her two weeks prior to the shooting that he planned on becoming a "martyr". In addition, the brother of the terrorist in charged an additional offense of disruption of court proceedings for trying to hide security footage of their home's security cameras. The indictment comes as the IDF continues its extensive manhunt after Na’alowa, who has still has not been caught despite being on the run for more than a month.